Not all - I'm still selling stock pics. Of the 12 in August how many were live news? I had 17, 15 live news, 2 stock. I'm not complaining though, if you put in the hard yards you will be rewarded, or so I have been seeing. So far this week; 1 in The Times, 2 in The Sun and 1 in The Telegraph online and in print (live news). Thanks. I knew I wasn't wrong. He is talking nonsense. It's clear others here are feeling the same poor sales. Loads of money to be made boys and girls but as always "the cream rises to the top"
Maybe "the cream" of stock photography is making all the money while most of us are languishing. It also depends on what you think "loads of money" is. These days its challenging enough just trying to break even. These guys in the 100k club seem to be doing alright and not by luck...but by sheer hard work & dedication. Loads of money depends on contributors' individual circumstances. I'd be happy with at least $3k/month net income from all agencies + private client work & other photography-related gigs. 2,000 images, unless they are of a very very specific niche, just won't cut it anymore. Even though quality is of course super important, I think quantity is even more important...as well as variety. If Marb had 20,000 images and was whining of no sales I'd take him seriously but 2,000 come on...work harder and smarter!! I see you also complaining daily at the Shutterstock forum's pathetic "doom and gloom" thread. So I think the issue is more to do with your own approach to this business than factors related global diminishing returns. Thats funny because you do your fair share of whining on that very “pathetic” thread yourself so you cant be doing that well by your boasting. 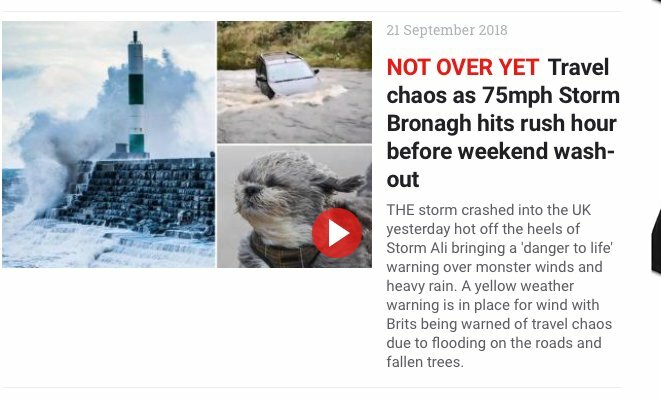 Agree with this - two of my weather pics from yesterday were used today in the Irish Sun. If I can do it, anyone can. What you think about other countries? Irish Sun? Isn't that an oxymoron? Haha, not today it would seem - the sun's shining! The 100K club is a small minority of contributors. Some are significant out-performers. Most started contributing when the market was strong and continued contributing for 10 years or more. Several regulars on this forum are members and we see their numbers reported on a monthly basis. They still do relatively well from their back catalogs (which in many cases is now in the tens of thousands of images), but I wonder how long it takes them these days to break even from their new submissions. Keeping costs to a minimum is key. So saying that doesn't mean very much, given everyones circumstances are different. I don't think you should be including "other photography related gigs", as I believe you were boasting about stock photography income. I wonder how long it takes them these days to break even from their new submissions. Keeping costs to a minimum is key. Shoot local. Zero out of pocket costs. But I get sales every day on microstock, sometimes much more in revenue than here so that theory doesn't really hold water. But you also complain bitterly on micro stock about poor sales? 10 hours ago on a favourite thread of yours. Sensing a pattern. "Absolutely atrocious. Abysmal. Apalling. " I try to spend $0, or near as possible, on anything I shoot and therefore profit comes fast. I wish I had your ability to constantly find new subjects to shoot locally that sell. Not sure about others, but the sums don't add up for me with travel photography. Shooting locally doesn't work for me, but I try to take photos wherever I have to be. Not the best strategy, apparently, but it keeps costs down!